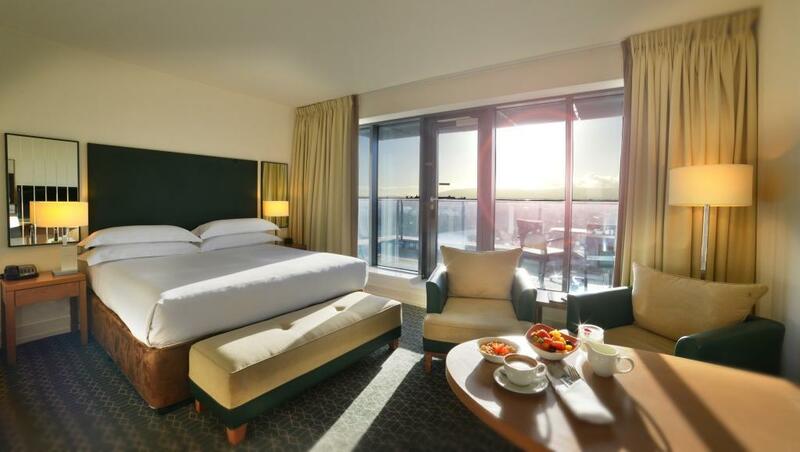 Bạn có thắc mắc về Hilton Dublin Kilmainham Hotel à? Nếu bạn đang muốn tìm một khách sạn có vị trí thuận lợi tại Dublin, không lựa chọn nào tốt hơn Hilton Dublin Kilmainham Hotel. Từ đây, khách có thể dễ dàng tiếp cận được nét đẹp sống động của thành phố ở mọi góc cạnh. Với vị trí thuận lợi, khách sạn dễ dàng tiếp cận những điểm tham quan du lịch nổi tiếng của thành phố. 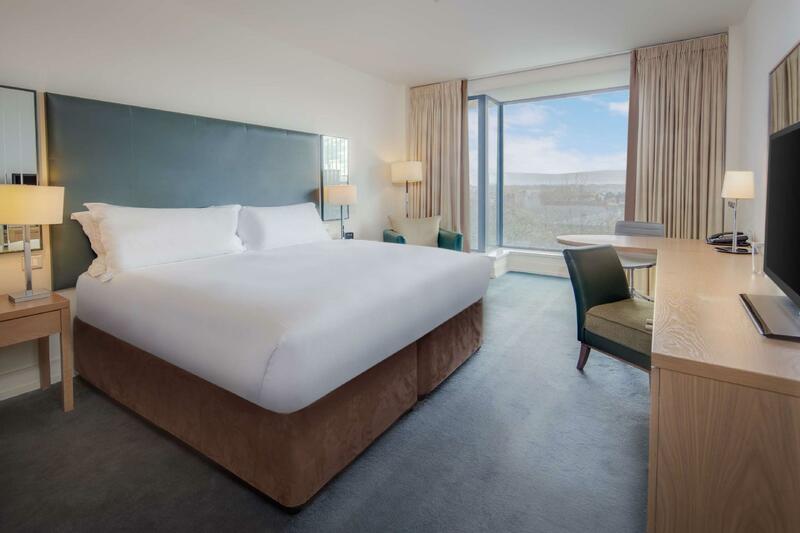 Những tiện nghi và dịch vụ do Hilton Dublin Kilmainham Hotel cung cấp đảm bảo mang lại cho khách hàng một kỳ nghỉ hài lòng. Khách sạn cung cấp các dịch vụ dịch vụ phòng 24 giờ, quầy lễ tân 24 giờ, tiện nghi cho người khuyết tật, nhận/trả phòng nhanh, giữ hành lý đảm bảo mang đến cho khách hàng sự thoải mái nhất. Tất cả phòng của khách hàng đều có trang bị tiện nghi chu đáo để bảo đảm khách hàng có cảm giác thoải mái mà không nơi nào sánh được. Khách sạn mang lại nhiều phương tiện giải trí đa dạng, bao gồm bồn tắm nước nóng, phòng thể dục, phòng sauna, hồ bơi trong nhà. 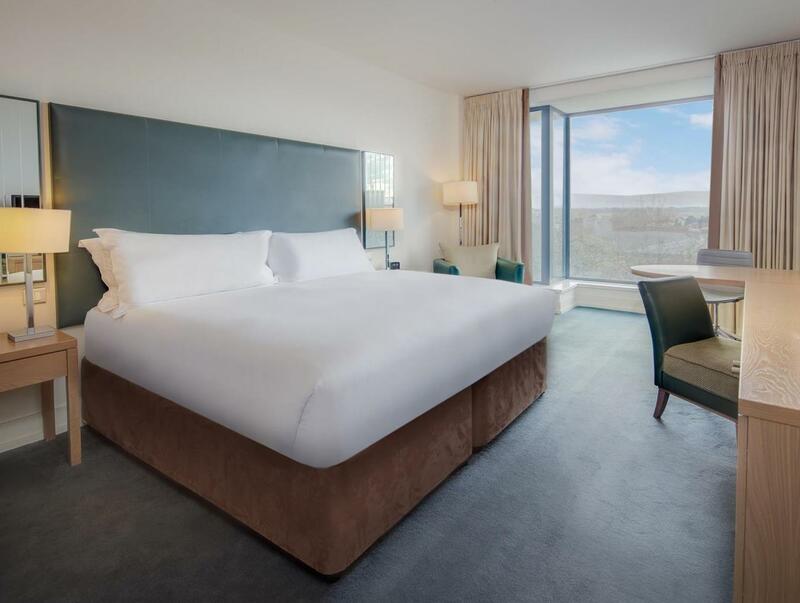 Dù bạn đến đây với mục đích gì, Hilton Dublin Kilmainham Hotel luôn là sự lựa chọn hoàn hảo cho kỳ nghỉ của bạn ở Dublin. 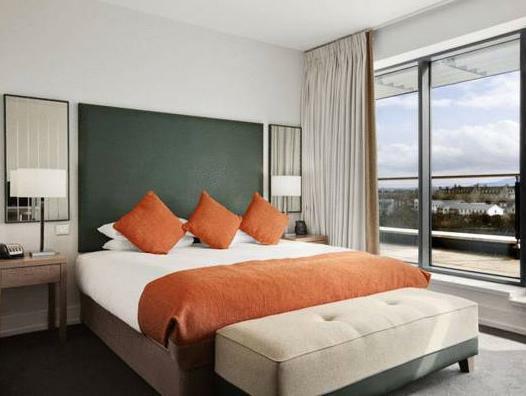 Price had gone up considerably due to the weekend (Ed sheeran being in town) but so had everywhere, Regarding the hotel, couldn't fault it; Room was great, the staff were attentive, they even sent my sunglasses back to me as I'd left them in the room. was pleasantly surprised by the gym and the hydrotherapy pool. would recommend for a city break. 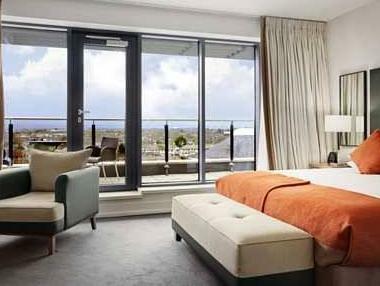 We had a very pleasant stay over 4 nights in a lovely clean room with a balcony on the 4th floor over looking the park. Room service and the dinner we had at the hotel were excellent. The staff were very friendly and obliging with any inquiries we had. I had two nights stay in this hotel though it is located slightly further from the city center but the staffs are friendly and very helpful. In addition, the room is very comfortable and well organized. I enjoyed the stay here. Our stay in Dublin was made so much better because we stayed at the Kilmainham. 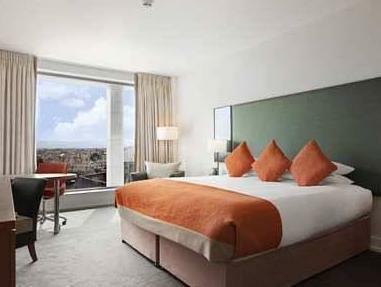 Opposite the old Kilmainham jail and a 15 min walk or 10 EURO taxi fair to the airport bus station. The hotel staff were excellent and the accommodation very comfortable. Bed, the best we had slept in on our travels. We departed hotel at 4.30am and staff had a bag of breakfast ready for our journey. We ate most of our meals at the hotel. They were very affordable and very nice. I enjoyed my stay here. The staff were polite and welcoming. Hassle free check in and check out. Dublin is a pricey hotel city and I was relieved to find the Hilton was a little less expensive than the European properties I had checked. It was a great location. The staff was pleasant and helpful with my many questions. The neighborhood is lovely and it was quiet in my second floor room that looked out on a fairly busy street. The breakfast was nice and included plenty of choices. We had been on a long flight from Sydney arriving early morning at Dublin Airport and we were able to check in early and use the spa pool which was soothing after such a long flight. The hotel was out of the hussle and bussle of Dublin but still convenient to get around the city. Our stay was ok. On Saturday night we had dinner in the bar. The staff came across as being understaffed and confused. I had to go look for someone to take our order as we had been waiting for a long while. Then they came with some of our meal and tried to give it to the table next us and then in about 10 minutes came back with the same meal to give to us! After the main meal we then had to look for someone to take our dessert order. Overall the food was only ok and does not warrent 4 stars. I was there this weekend with a group of girls for a weekend away. While not in the city centre it was only a short taxi ride away (approx €10) into town. We had breakfast the first morning but service was very slow and one of the staff was down right surly so we didn't bother the next morning. The barman was very friendly as was the guy at the pool. The jacuzzi wasn't working when we were there but we had a dip. It's not a pool to do lengths in, jus one to have a refresh and help your sore head from the night before!! Wine was a little expensive, starting at €30 a bottle but not too bad for a hilton in dublin. They do have corkscrews ice buckets and wine glasses in the room so you could BYO. The girls at reception were lovely and helped us out with taxis and dinner reservations at nearby restaurants. There were taxis waiting out used most of the time so it wasn't a prob getting into town. Overall the hotel was clean and well maintained. Staff were mostly friendly (apart from the girl at breakfast, who I think was new) and as we booked with agoda it was only €60 per room (slept 2) for the 2 nights. Bargain!! I would be back. One disadvantage of this hotel is the location. It takes 20 min to get to city center by walk.